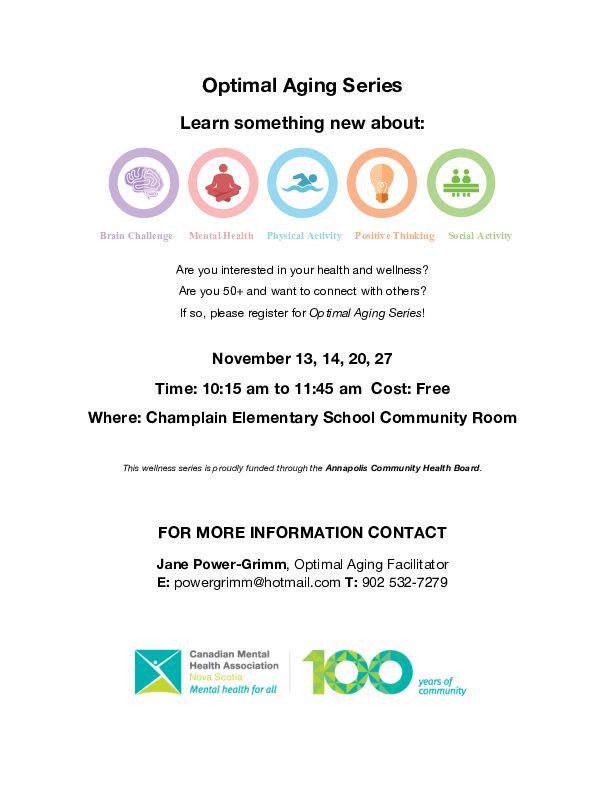 Optimal Aging is a 4-week mental health promotion initiative for those 50+ that promotes wellness and builds resilience among individuals of age. The series provides evidence-based information on brain health and resilience tools to support factors including: 1) social activity, 2) positive thinking, 3) physical activity, 4) taking care of one’s own mental health, and 5) brain challenge, as well as health goal setting. Each series is made up of 4, 1.5 hour sessions. All the series are free of charge, and there will be snacks provided. The session in Granville Ferry will take place on the following dates: November 13, 14, 20, 27.